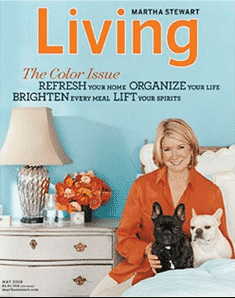 Click here and and fill out the form for a free Subscription to Martha Stewart Living. I’ve gotten free magazines from Rewardsgold before – no credit card is required and you’ll never be billed. I love anything that Martha does! I love Martha Stewart everything. I watch Martha everyday on Hallmark she is wonderful!!!!! Wow! Thanks for the magazine! I had to fill out some information and leave 4 product reviews to earn the points for this. I I can’t wait to get my magazine’s! thanks so much!! I can’t get past the rewards gold survey and the stupid breakfast food reviews. no matter how many words it wants more, first 15 now it says i have 24 and have to have 1 more. BOGUS! I can’t wait for the first issue to arrive. Thank You!!! wouldn’t let me join, sed my email address wasn’t valid. ?? thank you, I am looking forward to my subscription. I hope you enjoy my tempting write ups of breakfast. I Love Martha Stewart. And I love her magazine. I would love some new decorating ideas from Martha! It must be over. I get redirected to another rewardsgold page and told to fill out surveys and other stuff. just received my 1st magazine from Martha!! I’m a happy girl! !